Want to join us for the fall 2016 concert season? Contact our director Jill at jillacrandall at gmail dot com to set up an audition. We rehearse Thursday nights from 6:45-9:15PM at Grace Lutheran Church (corner of Prospect and Springfield in Champaign, accessible by MTD!). 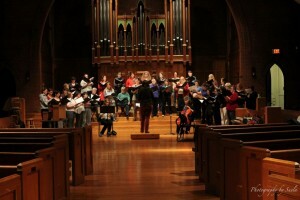 Amasong accepts women for choral membership from varying levels of ability and experience. And if you’re not very musical but want to get involved, send an email to office@amasong.org to learn about volunteering at a concert or joining a board committee! With this performance, Amasong honors and affirms the humanity of refugees, migrants and displaced people everywhere. Songs from all corners of the world invite listeners to contemplate the varied meanings of flight: from harrowing escape to soaring freedom. Please join us; all are welcome. Do you follow Amasong on Facebook? We post lots of great links to interesting music and musicians, news about inspiring women, and community events, as well as updates about our upcoming performances. If you’d like to be updated by email about our performances, send us a note at office@amasong.org and ask to be added to the fan mailing list. (We will not not share or sell any personal information with other organizations.) Ama-fans are Ama-fantastic! There is still time to join Amasong for Spring 2016! 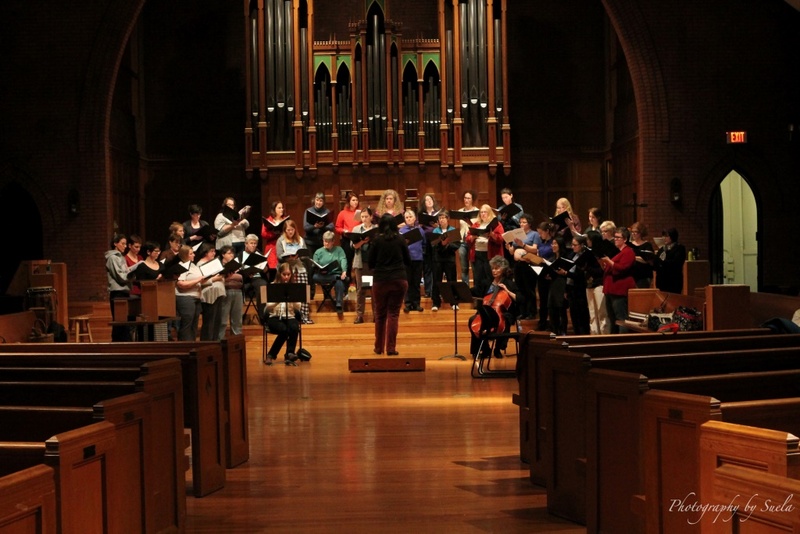 We rehearse Thursday nights from 6:45-9:15PM at McKinley Presbyterian at the corner of 5th and John in Champaign. Our spring concert theme is Flight and we will be singing a concert of songs about the many forms of flight that humans and other creatures experience. Amasong accepts women for choral membership at varying levels of ability and experience. Email Jill Crandall at director@amasong.org and tell us a bit about yourself. New members will be accepted until Thursday, January 28. There are a number of local businesses and organizations that support Amasong. This support allows us to do things like pay for rehearsal space and produce albums. Please consider patronizing the businesses and organizations listed on our Support Page.